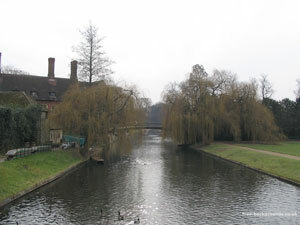 This view from Trinity Bridge on the backs of the Cambridge colleges shows the River Cam in the winter months. The willow trees, normally opaque with leaves, are barren and forlorn. There is one moored punt under the slight shade of a bare tree, but otherwise the river is empty but for waterfowl. In the summer, this part of the river is often full of punts, the bridges full of tourists and the gardens either side full of students. 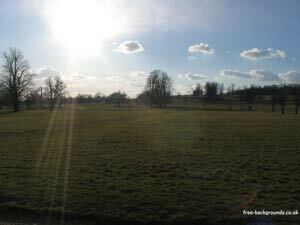 Now it is home only to a handful of ducks and geese.